Make the most of your program's Web site with eCenter Direct, a Neoserra add-on component that allows you to harness the convenience of the Internet when interacting with clients. 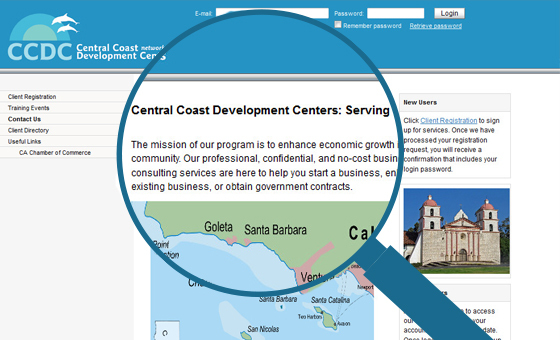 eCenter Direct is a client Web portal that enhances your client communications. 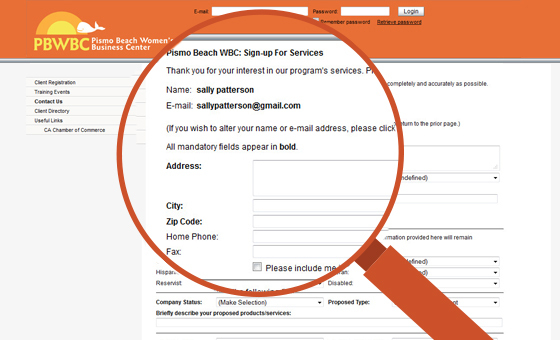 Clients (and prospective clients) can use this Web portal to request services, register for training events, complete surveys, and submit milestones. And it’s all integrated with Neoserra! eCenter is completely customizable. You will use Neoserra to create your own unique version of eCenter Direct. 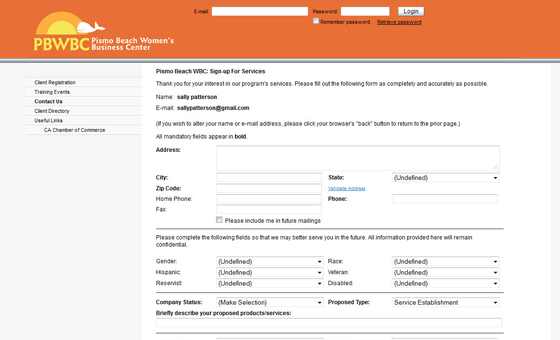 Prospective clients can sign up for services right from eCenter. When someone selects this option, they are provided with a signup form that has been customized to your program's data requirements. The information collected by this form is uploaded to your Neoserra database as pending client and contact records. Existing clients can subsequently edit their demographic information on eCenter making sure that their address is current. eCenter greatly simplifies the distribution and collection of satisfaction surveys - or any type of survey. You can use Neoserra to post a survey to eCenter and then use Neoserra to send a mass e-mail to your clients asking them to log into eCenter and take the survey. When a client completes an eCenter survey, a new survey response record is created in the Neoserra database. 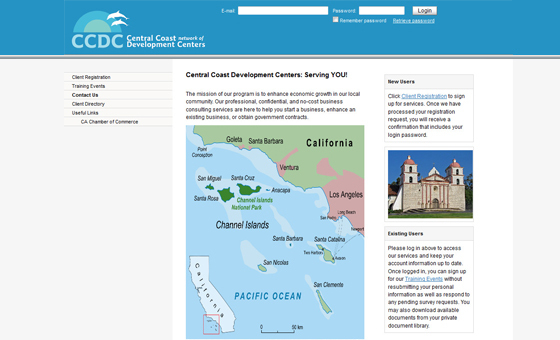 From eCenter, anyone can browse or register for your program's upcoming training events. The events listed on eCenter - and their details - are pulled directly from the conference records in your Neoserra database. When someone signs up for a training event from eCenter, their name is added to the attendee list. See eCenter Direct in action. Call +1 805-967-1280 or email us for an interactive demo. eCenter and Neoserra are tightly integrated. You'll use Neoserra to control exactly what services and information are available to eCenter visitors. Similarly, the information submitted by visitors is captured in the Neoserra database, saving you the time and effort of rekeying data.